"Get used to inexpensive quality!" 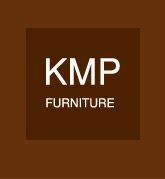 KMP Furniture store is committed to exceed your expectations of quality and good service, with a variety of Modern and Contemporary furniture.We carry a wide selection of Contemporary furniture for your living room, dining room, bedroom or any other part of your home. We strive for the best in Contemporary sofas, TV stands,lighting,dining tables,bedroom sets, living room furniture. Have you visited our Fire collection? You can find there our Modern furniture, that can add a clean cut, modern minimal look to your home, the one you always desired. Living Room Furniture - Dining Room Furniture - Bedroom Furniture.